For organizations that manage non-powered assets (containers, trailers, vehicles and other). Our wireless tracker offers an enhancement that can reduce risk and improve control and visibility that can dramatically reduce the costs of your assets whereabouts, and optimize your assets deployment and utilization. Unlike other products in the market, the solution comes in a low-profile, rugged and weather-proof housing (IP67) and automatically adjusts reporting frequency to match the available battery level (2-5 years battery life depending on reporting frequency). It is the ideal solution for multi-year deployments within harsh environments. The Wireless Solar Box provides true wireless tracking using renewable energy, and is ideal for many types of assets (containers, trailers, vehicles, ships, and other). Our wireless tracker offers an enhancement that can reduce operational cost and access true wireless asset tracking to reduce risk and improve control and visibility, that can dramatically reduce the costs of your assets whereabouts, and optimize your assets deployment and utilization. 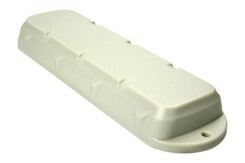 Unlike other products in the market, the solution comes in a low-profile, rugged Nylon Glass composite Housing, allowing it to be installed externally on any assets in most environmental conditions. The solar panel of the device constantly keeps the internal battery charged. The 3D accelometer allows the unit to operate in very low power when the device cannot be recharged with a UV power source. Movement detection, vibration and shock detection are all possible with the solar device.